Working with Al Samarraie of Archi-Structure Architects, PMJ Masonry were proud to unveil the new Community Centre in Sheffield. 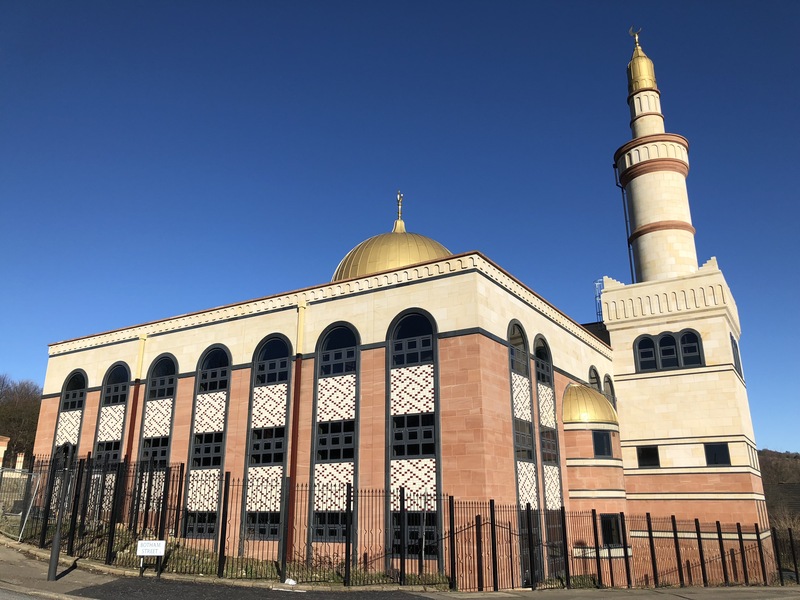 The Emaan Trust of Sheffield is aiming to establishing a distinguished Islamic Centre so it can build bridges and to help the Muslim community in Sheffield and the surrounding areas. This is reflected in the nature of the unique services to be provided. The Centre provides a comprehensive set of facilities which includes: two prayer halls, youth club, training courses and workshops, sports hall and advice centre. In addition, the Centre has a mission to create an environment for communication and collaboration between different cultures and religions. This project involved several natural stone products including black granite curved window surrounds, curved and block faced Darney Sandstone and a beautiful red Locharbriggs Sandstone again both curved and block faced. I think everyone will agree that with its intricate design and detail, this is an exquisite building on the Sheffield Landscape. PMJ Masonry is a company registered in England and Wales. Please do not hesitate to contact a member of our professional, experienced team. © Copyright PMJ Masonry Limited 2018. All rights reserved.